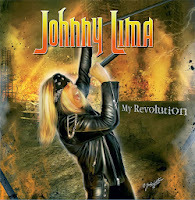 Rock & Metal 4 You: CD-Review: Johnny Lima - "My Revolution"
CD-Review: Johnny Lima - "My Revolution"
How long I've been waiting for this album? It must have been up to five years, because back in 2009 the Californian Melodic Rocker Johnny Lima released his latest record "Livin' Out Loud". In the meantime I had the chance to see him live in 2012 in a smaller venue. Here he performed a few new songs and left me hungry for more. Now he finally is about to release his new effort "My Revolution". Let's see if it was worth the wait! I've to admit I'm a bit biased when it comes to Johnny, because I'm in contact with him since eight years now. When I discovered him back in 2005 with his album "Version 1.2" I fell in love with his songs. Till now this one belongs to my all-time-favorites, so each album from Mr. Lima has to go in competition to this one. But let's talk about some general stuff - I think there are (too) many people out there, who don't know anything about this talented musician, songwriter and producer. Johnny Lima writes songs in the vein of Bon Jovi and Def Leppard with tons of big hooks (and I mean really BIG hooks), amazing harmonies and great choirs. 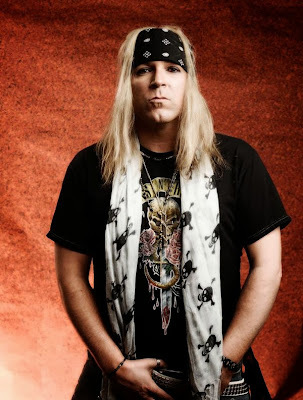 Since 2009 he also adds some kind of Mötley Crüe influences to his songwriting, which gives him a more rockin' sound. But it's not just the music, even his voice reminds you very often at Jon Bon Jovi, which is a blessing and a curse, I think. I remember one situation where songs from Johnny ended up on Youtube and everyone thought it would be songmaterial from the New Jersey Rockers. But I must say over the years Johnnys voice changed a bit and he gives each song an own note now. So it would be superficial to call him a Bon Jovi - clone. So maybe you can now imagne how his music sounds. It's simply great Melodic Rock ... and the good thing is: that hasen't changed on his new album "My Revolution". Every fan of Johnny Lima gets what he loves about this man. The album kicks off with the title track - a pounding rocker, which sounds quiet epic at the beginning. A great start for the album with a huge chorus. The following songs "Happily Ever After You" and "You're The Drug I Wanna Get High On" (feat. Julian Angel on lead guitar) can hold that high level very easy. When the fourth song "Fill You Up" started I was a little bit irritated. Johnny experimented here with some electronic sounds and that sounds very strange to me. Ok it's quiet different from his regular formula, but I don't want to hear such sounds on a Rock record. Luckily the second half of the song gets better. Next song "Blame It On Love" was one of the songs, which were played live in 2012 and this one is a true highlight to me. I love this one. This has to be played on all radio stations. It just screams "HIT" and will find its way on my next song-of-the-year-list. With "I Can't Love You Anymore" we reach the first ballad - and this is another winner. On "Livin' Out Loud" I missed the big old-fashioned power ballads a bit, but here we find one of the best I've heard in the last months. This is the kind of song I'd like to hear from Bon Jovi nowadays. The chorus is pure magic. With two amazing hits in a row the next track "Tell Me Lies" has some problems to convince me. It's also a good one, but compared to the others he sounds a bit weaker to me. But so what? The next amazing tracks are on the way. That includes the enjoyable "I Couldn't Be The One" and, the very melodic "Nowhere Left To Go" (with great guitar parts in the beginning) and the rockin' "Dirty Girls". Here I even hear some Steel Panther influences. This is a typical cool Sleaze track, which is followed by another Rock anthem: "Show Them Who You Are". Yeah and that seems to be the official part of the album, because there will be two versions of this longplayer: a normal one with 11 tracks on it and a limited edition (for those people who contributed to this album through a crowdfunding campaign) with 15 tracks on it. Yes, I was one of the contributers so I review the limited edition here. I just can hope for you fans out there that you can order this version somewhere, because there won't be many copies around. It was something exclusive for the contributers, but some people ordered about 500 CD's ... so I think some of them will be sold. By the way: the release of this album is set for March 1st! I just have the limited edition here because I contributed. So keep your eyes open when this album is finally released. I'll also keep you up to date. 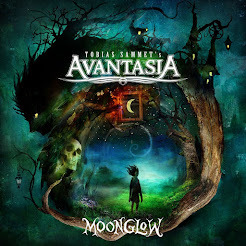 Now back to the songs: the first "bonustrack" is the dreamy ballad "Into The Light" and believe me: you won't miss that song! It's one of the best on the record. Every lover of this music will cry tears of joy. Amazing tune! "Deeper Into You" leaves also a smile on my face and makes me sing-along. Johnny has the talent to write earworms on the assembly line. Don't know where he gets this great melodies from. Next song "Maybe You're Right, Maybe It's Wrong" is a calm piano-ballad and I usually don't like that so much, because just a piano-version is often boring to me. But this one pulls me in. So it's still not my favorite, but a good, emotional song which shows how good Johnny Lima can sing! The limited edition closes with another gem: "Naturally Beautiful" is pure Melodic Rock bliss with another outstanding chorus. After listening to this album for many times now I'd say you can divide it in two parts: the very catchy Bon Jovi kind of songs, which remind me a lot at Johnnys debut album and the more hard rockin' groovy songs, which could have been on the predecessor "Livin' Out Loud". So both groups of fans are served with this album. Productionwise everything sounds very clear and enjoyable. It's the perfect sound for a Melodic Rock record. 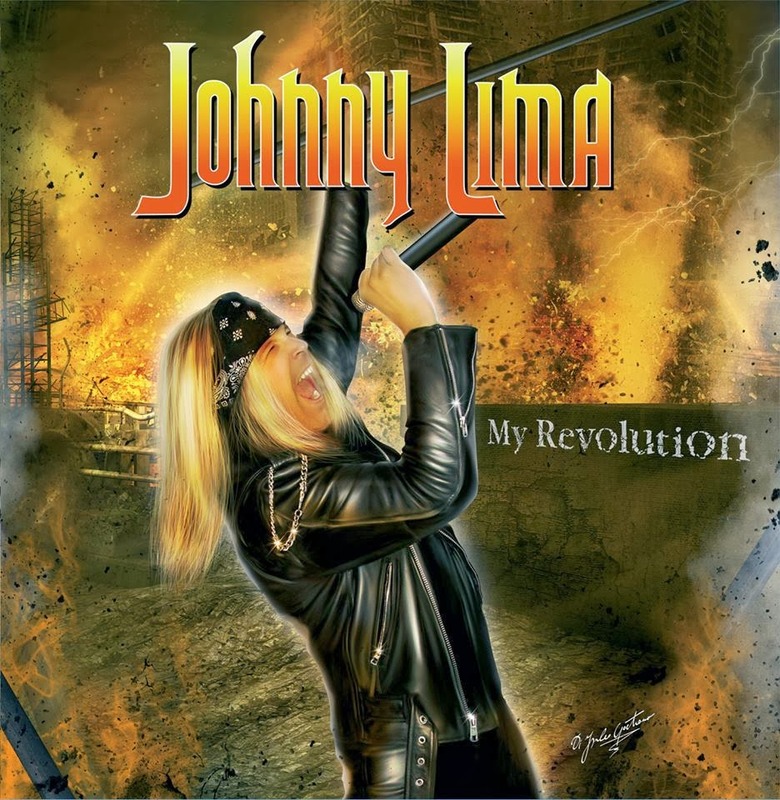 Johnny Lima delivered always high quality work when it comes to production and "My Revolution" is no exception of this. It's even more impressive when you imagine that Johnny financed this record on his own. The musicianship is also excellent. Yeah, so what can I finally say? I didn't put that album into my album of the year list for this year because the official release is in 2014 - but you can be sure that "My Revolution" is the first candidate for one of the top positions next year! This is an awseome start into the coming Rock/Metal year. To me it is the best album Johnny ever did right after "Version 1.2" (which was a re-recording from his debut album). Maybe this is because the songs on that one bring back so many memories of my youth, but without a doubt "My Revolution" don't need to hide from it. If you are looking for a Melodic Rock album in the vein of Bon Jovi (just better), Def Leppard and Mötley Crüe you just have to buy it when it's out! You won't regret it! Very good job Johnny Lima ... and now don't let us wait so long for the next masterpiece. Special: The biggest disappointments in 2013!